We are delighted to present the prolific Debashish Bhattacharya in concert at St George’s Bristol on 26th March 2018. One of the world’s greatest slide guitarists, Debashish Bhattacharya brings universal appeal to his inventive fusion of classical Indian ragas and bluesy Western music. Embracing Hawaiian slide guitar from his childhood in the 1960s, Debashish has pioneered a unique style of Hindustani slide guitar and gained global recognition over four decades, winning a Songlines and BBC Award along the way (and twice Grammy nominated). 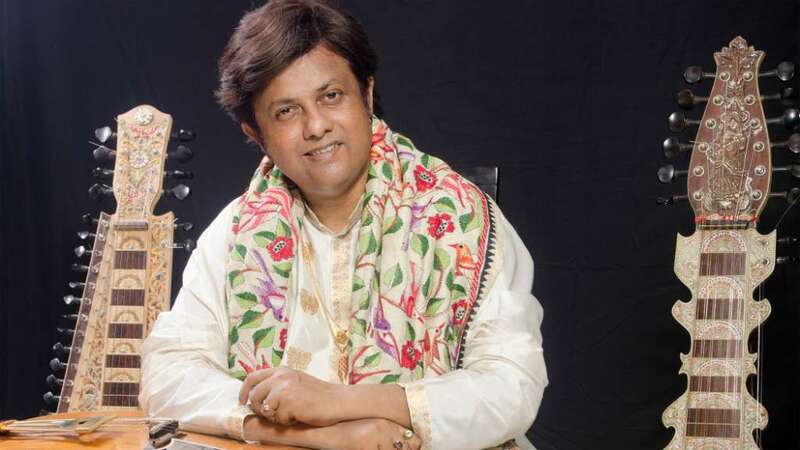 Debashish has also invented his own hollow neck slide-guitars (the 24-string chaturangui, the 14 string gandharvi and the anandi, a 4-string lap steel ukulele). These are unique to his compositions and he has collaborated with many world renowned musicians, including Ravi Shankar, Zakir Hussain, John McLaughlin, Jerry Douglas and Derek Trucks. Combining extreme virtuosity with graceful artistry, Debashish has won the heart of millions around the world. Tickets will go on sale to the general public from 25 January at 10am via the St George’s Bristol box office. Visit our event page for more information.